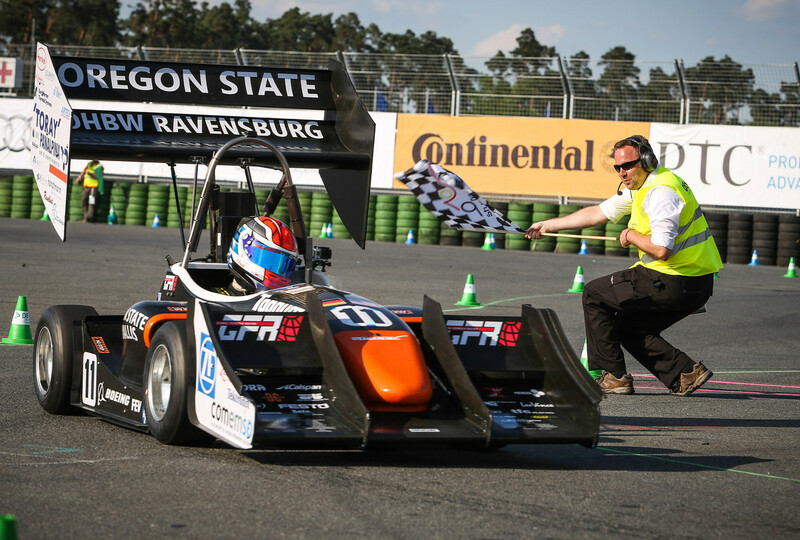 Inside the freshly paved confines of Michigan International Speedway during the biggest Formula SAE competition in the United States, students ignite the atmosphere. First, it’s the mad dash to the registration line, then a madder dash to the technical inspection line the following day. Forty-eight hours of warm-up, car prep and scanning the field. 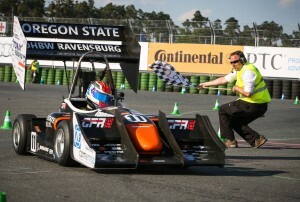 Oregon State University’s Global Formula Racing is one of the first teams through both lines. Their early-bird reputation is well known.